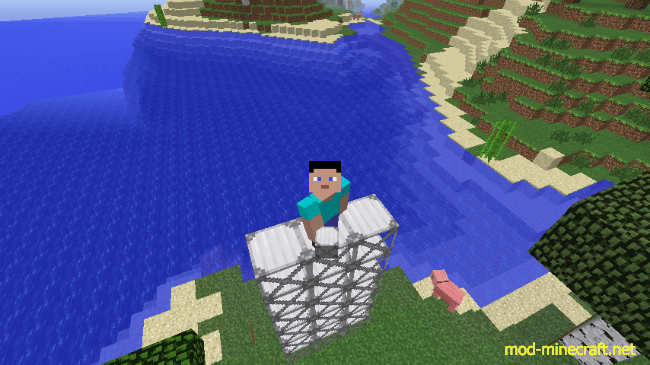 Scaffolding Mod 1.7.2 makes the game more interesting by adding one main type of block which is scaffolding. Currently there are two types of scaffolding, wooden scaffolding, which can be placed almost everywhere except in the air or else it will fall to the ground, and iron scaffolding, which is suitable in everywhere even in the air. The scaffoldings can be used in place of a ladder and the block behind them, if available, is not necessary to be placed or used.